If I can see the stars at and above the horizon at night, why is the sun not visible when it's on the daylight side of the plane. If there is significant atmoplane along the horizon, which is used as an excuse for night, the sun disappearing, the sun dropping below the horizon, and all sorts of other stuff. The stars are crystal clear, and with long exposure photography you can see so much more in the night sky with no loss of detail along the horizon. If these are all celestial objects that are at or beyond the distance of the sun, then why can we not see the sun, which from the point of the observer appears so much larger than the stars. On a FE, this makes no sense. Why is the atmoplane selective of what it lets you see? What makes the sun special that it gets obscured at night, but not stars? I'll add a photo for clarity, in case some don't know what I meant in my OP. 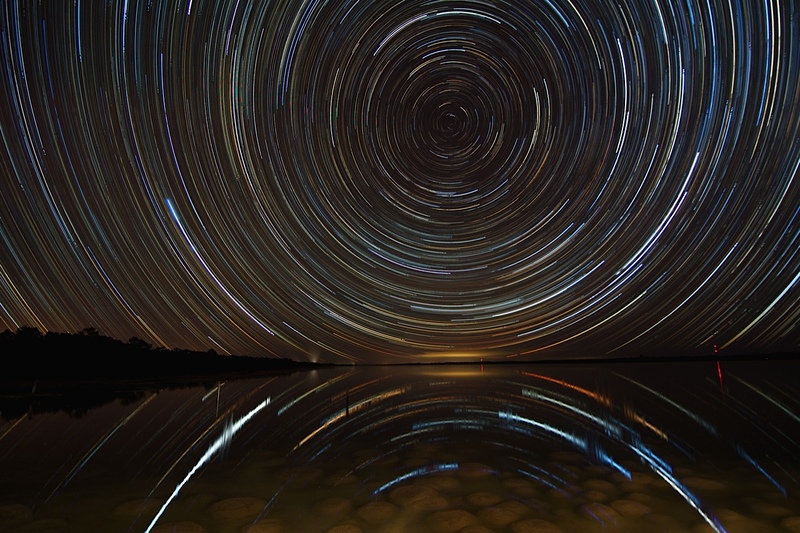 Below, you can see the star trails with no distortions in the circular pattern of the trails, and clearly visible at such a great distance while close to the horizon.